There is something special about Bosch. This international and adaptable technology and service company has been rooted in Germany since 1886 – and over the decades has developed into a global powerhouse. 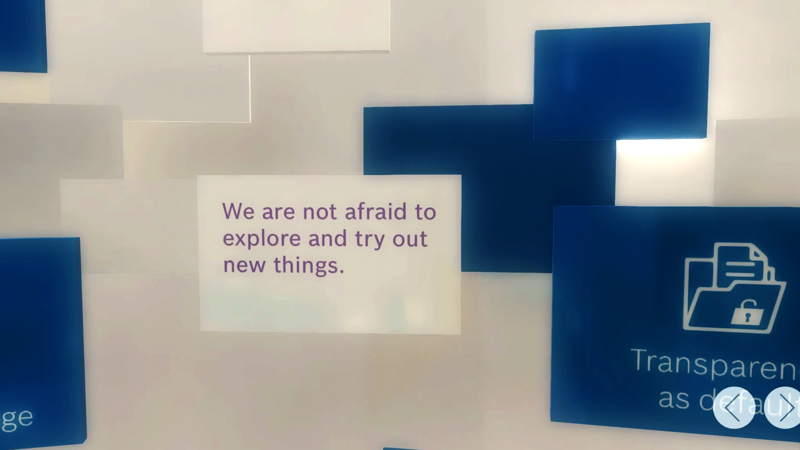 For more than 20 years, we have been up close to the topics that matter most to the employees and customers of Bosch. Together with our Bosch partners from more than 50 different divisions and locations, we develop innovative and inspiring media formats. This applies to both internal and external target groups, as well as all industry-driven business sectors – from Mobility Solutions and Industrial Technology to Energy and Building Technology. Throughout this collaboration we have always striven to fully contextualize the Bosch “Invented for Life” claim and decipher even technically complex subjects in such a way that makes them perfectly understandable. 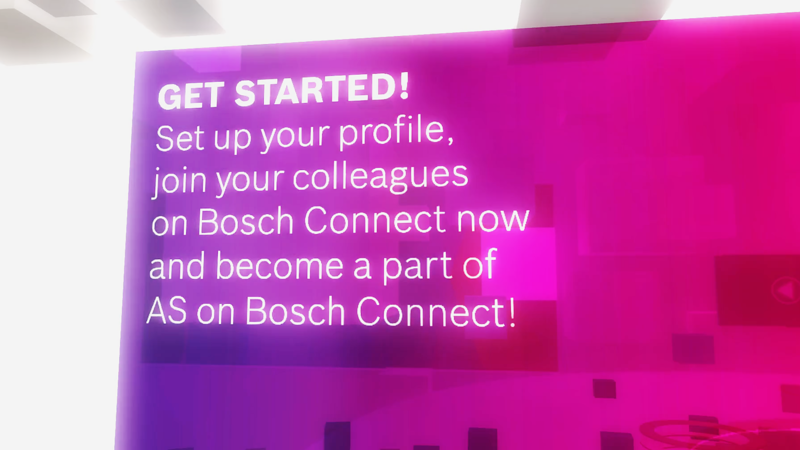 How can members of the Bosch Automotive Steering business unit be encouraged to try out Bosch Connect? The task was to inform people about the features of the internal social enterprise platform at Bosch and to make this new way of collaborating appealing to them. 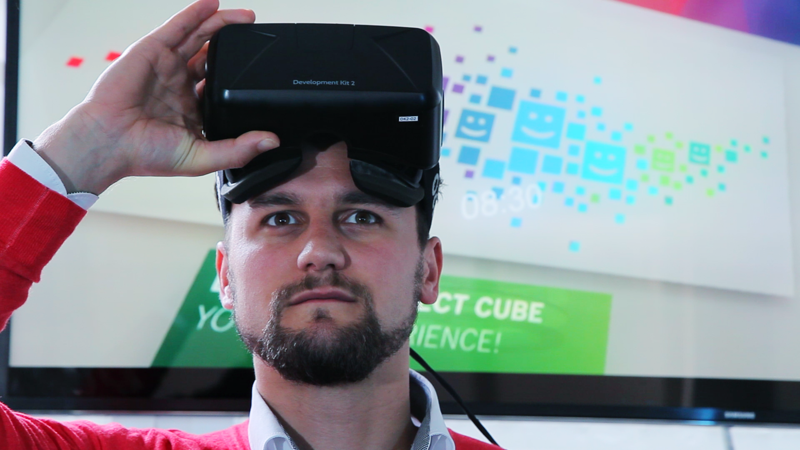 The concept revolves around the Bosch Connect Cube, a virtual 3D topic die that can be explored using virtual reality goggles. 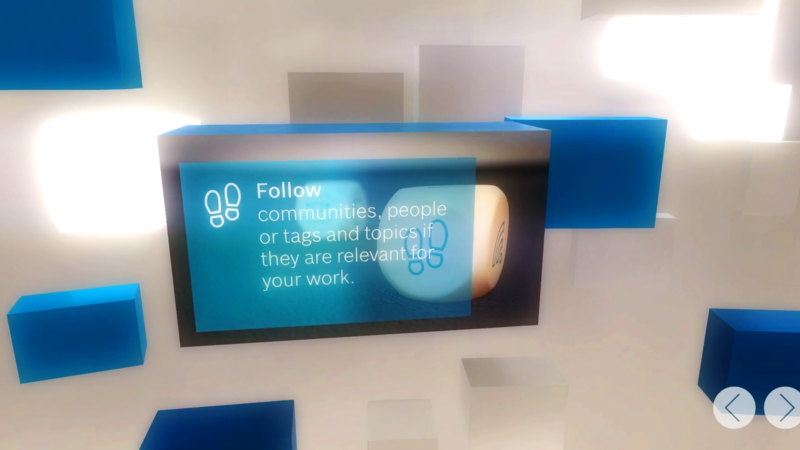 The Bosch Connect Cube is an inspirational example for communicating complex subject matter using state-of-the-art VR technology. 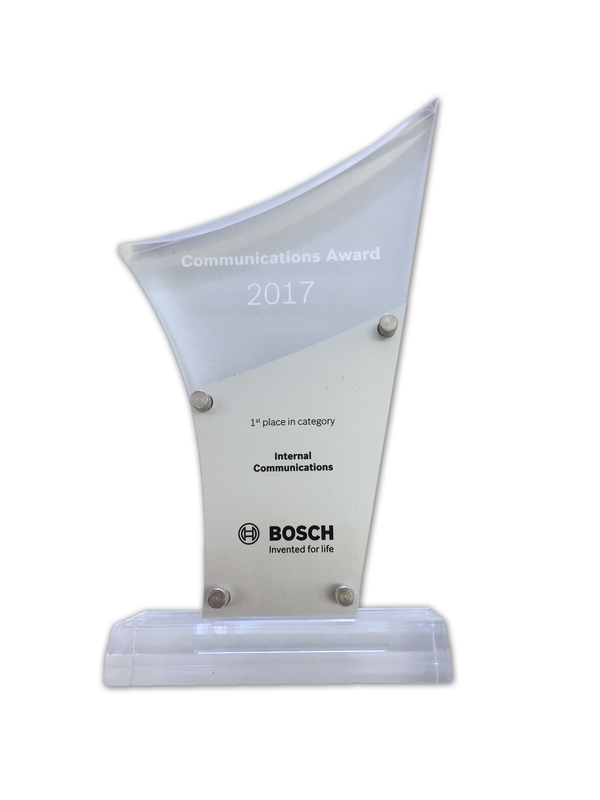 The Bosch Connect Cube won the internal Bosch Communications Award 2017 and was nominated for the Digital Communications Awards 2016.